This horse bracelet is a must have, that speaks for itself! 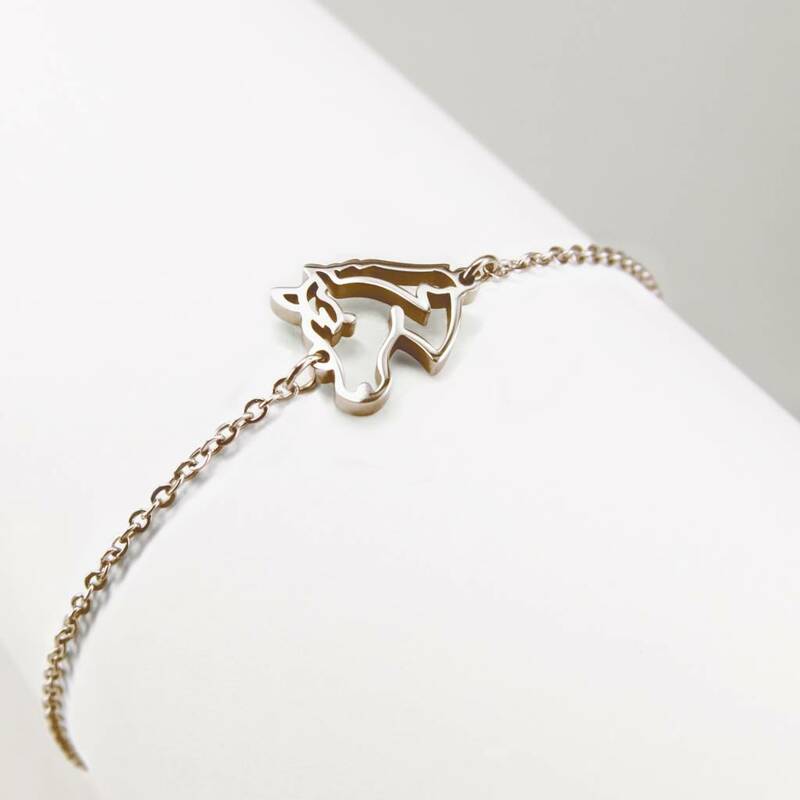 This bracelet with horse is available in silver, gold and rose gold. Do you love equestrian sport, but also beautiful jewelry? Then the trendy jewelry from Ponytail & Co is something for you! Our bracelets are for women of all ages and have a refined and minimalistic look. All trendy jewelery is inspired by your passion for equestrian sports. In addition, the bracelets of Ponytail & Co are made of surgical steel. This means that they are extremely strong and do not cause an allergic reaction. Our bracelets are innovative, slightly different from a horsehair jewel. Also spot our horseshoe, saddle, rosette, brush, cap and four-leaf clover. This cute bracelet consists of a sophisticated chain of flat links. The links are 1.5 mm wide. The dimensions of this horse are 14 mm x 13 mm. The thickness of the horse is 1.6 mm. The bracelet is available in sizes S and M.
The bracelet in size S has a length of 13 cm + 5 cm extra to extend. The bracelet in size M has a length of 17 cm + 5 cm extra to extend. First measure the size of your wrist with a measuring tape. Turn the measuring tape tightly connected around your wrist. Add 1 cm to it. You have now found the right wrist size! Size S is suitable for wrist sizes 12 to 16 cm. Size M is suitable for wrist sizes 17 to 21 cm.